Toronto is seeing more severe weather, but will city hall find millions of dollars per year to fight climate change? 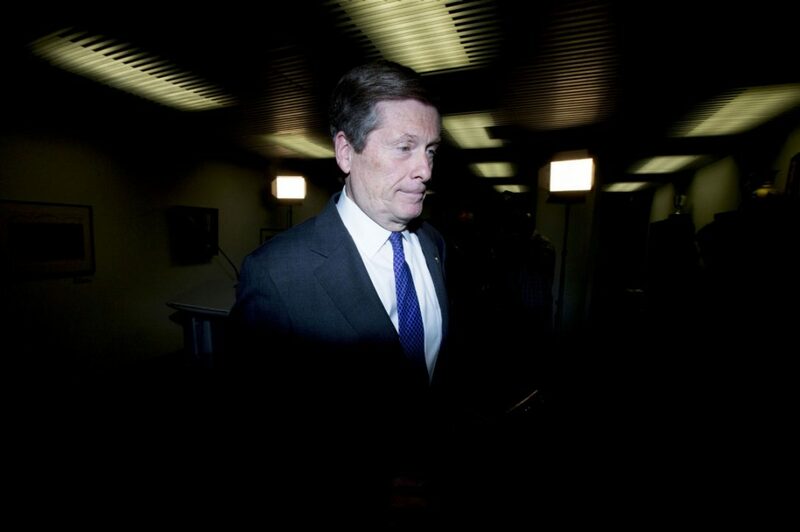 More than three dozen non-profits, unions, businesses and others are urging Mayor John Tory to fully adopt and implement city staff’s ambitious plan to slash Toronto’s greenhouse gas emissions. But some are wondering if Tory’s austerity-minded administration will endorse the spending of millions of dollars a year to help protect residents from extreme weather, including flooding and unusual heat, even with the promise of big benefits in terms of jobs and public health. “The adoption of the TransformTO plan would send a clear signal to the Ontario and federal governments that Toronto is ready to receive and invest climate action funds in ways that will reap maximum benefits . . . ,” states the letter sent to Tory and city councillors Friday by the Toronto Environmental Alliance (TEA). Signatories include leaders of the Registered Nurses’ Association of Ontario, Building Owners and Managers Association of Greater Toronto Area, CivicAction, CEE Centre for Young Black Professionals, Unifor, Ontario Clean Alliance, the director of the U of T’s School of the Environment and former mayor David Crombie. The blueprint aims to get Toronto greenhouse gas emissions to 80 per cent below 1990 levels by the year 2050. Torontonians would phase out fossil-fuel vehicles; live in denser, more walkable neighbourhoods with fewer single-family homes; take more public transit; rely more heavily on solar power; and send 95 per cent less waste to landfill. Franz Hartman, TEA’s executive director, said he hopes the letter shows Tory the plan has broad-based community support and needs to be funded when the 2018 budget is set early next year. “That $6.7 million for next year is a drop in the bucket in terms of leveraging funds from other governments and private investment, the more than $1.3-billion in total costs we saw from flooding and an ice storm in 2013, and the benefits we can realize in new jobs, better housing, more affordable lives and poverty reduction,” he said. So far in response to the plan the mayor has only listed, through a spokesperson, green initiatives that he supports, such as energy-saving retrofits of social housing units. Councillor Mike Layton said he would be shocked if Tory didn’t support the plan itself but, given that the mayor is backing a call to try to freeze city spending, and rules out property tax hikes above inflation, he is skeptical. “The mayor likes to go to Paris (climate change conference) and make the statement and get the positive coverage, go to the (Toronto) island and get the picture walking through a flooded park, but he isn’t prepared to actually do anything about it,” Layton said. Councillor Mary-Margaret McMahon, chair of the parks and environment committee, said she is working to get unanimous support for the TransformTO at council this week and then will work on finding ways to pay for it.